The longer I stayed, the worse I felt. Even though I was learning Spanish, I could never seem to improve fast enough to do justice to the amount of time I’d been living here. So what to do? Start lying about how long I’d been here? A bit like lying about your age, it’s only going to get you caught out one day! Instead, I took a more pragmatic approach and looked for ways that I could expose myself to more spanish and improve faster. Language acquisition does not take place through osmosis and just living in a country doesn’t mean you will automatically pick it up; some effort, however minimal, is required! Whilst sitting in a stuffy classroom is the last thing you want to do when the sun is shining outside, the sooner you hit the books, the sooner you can get out into the sunshine to practice! 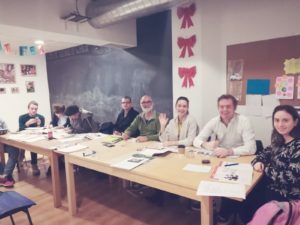 Spanish has a definite grammatical structure which you will need to master, at least at a basic level, in order to make progress. Committing to attending classes at an academy gives you an external motivation to learn. 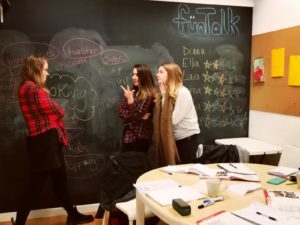 Nobody likes learning lists of verbs but the methodology used at FunTalk focuses on communication and speaking practice, where you put that new verb tense to use during a practical conversation. Language learning apps such as Babbel or Duolingo are great for bite-sized learning on the go. Review your irregular verbs whilst waiting for the metro or learn new vocab in 5-minute bursts, it’s a lot easier than committing to a big chunk of study time. Reading is one of the best ways to improve your vocabulary, and living in the country of your target language gives you easy access to a huge amount of reading material. Picking up a novel in Spanish can be hugely daunting, but don’t feel as though you have to go for a Spanish author for authenticity, texts translated from English will be easier to digest. Slip your Dan Brown translation inside a copy of Don Quixote if you want to look like an intellectual. And ditch the dictionary! If you prefer your reading bite-sized, find a news site that you like and read an article a day. La Vanguardia or El Pais can be daunting, but the football papers like Marca or Sport are equivalent to tabloid newspapers and are much easier to read. There are often spare copies in the local bar, so pick one up while you’re having your morning coffee. Don’t forget to take advantage of the freebies as well; grab a copy of 20 Minutos while you’re on the metro or the bus. Reading doesn’t have to mean books either, put Spanish subtitles on your favourite Netflix series and read those. Your eyes will inevitably be drawn to the subtitles and you will hear the English translation in real time, along with the context, so you are sure to pick up some interesting vocabulary. Now the next time you feel like staying in to binge-watch Game of Thrones, you can tell your friends you are studying Spanish. Use your environment; read signs, menus, billboards. Be curious all the time and you will start to connect words with their meanings. Seeing words in context is the best way to ensure you will retain them, much better than memorising lists from a textbook! Other easy wins are switching your computer or phone’s user language to Spanish. You already know the functionality intuitively, so the Spanish terms for your most frequent operations will soon become second nature. 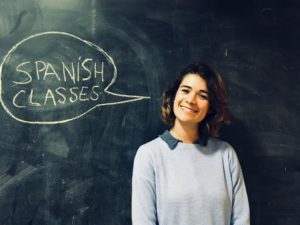 Being able to understand a language is one of the most difficult obstacles to overcome, and particularly a language like Spanish, which can sound like you are being shot at with a semi-automatic weapon. So how do you get over looking like a deer caught in the headlights every time someone asks you the time? Exposure is the key and the more you get your ear accustomed to the sound and cadence of a language, the sooner you can start making sense of what is being said. Take those headphones out and start earwigging! On the bus, the metro, in the supermarket queue, listen to what people are saying. The Spanish are a talkative bunch so you won’t be short of material. You will pick up natural expressions for agreeing, responding appropriately to news and, undoubtedly, a ton of swearwords! The TV can be useful but choose carefully what you watch and make sure it’s something that you find interesting. Watching the football can give you a bunch of useful vocabulary for discussing the game with your Spanish colleagues on Monday morning, whilst watching a talk show about the latest political scandal is likely to make your head explode. 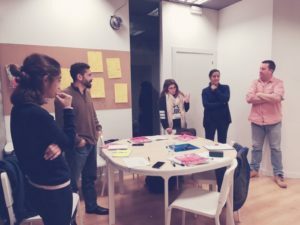 Find a Spanish-speaker who wants to practice their English and arrange to meet regularly so you can practice your speaking in a forgiving environment. Make sure it’s someone you actually like and meet somewhere where you can relax and chat naturally. Whilst there is no substitute for going out into the real world and speaking with natives, this can be daunting if you have not tested yourself first in a safe environment. A well-structured conversation class allows you to build confidence quickly without fear of making mistakes and with an experienced teacher to guide and assist you. 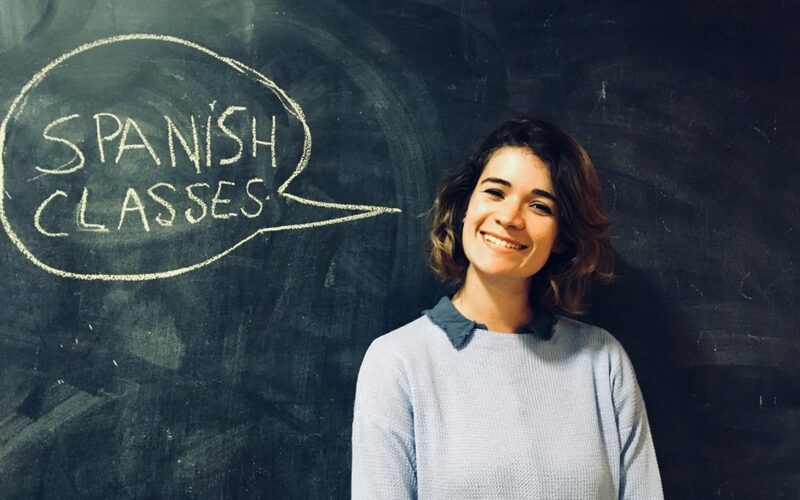 Our Spanish classes with Coffee or Wine aim to recreate a natural speaking environment whilst also helping you to expand your expression and build your confidence. Sign up to Spanish Conversation Classes with Coffee or Wine.